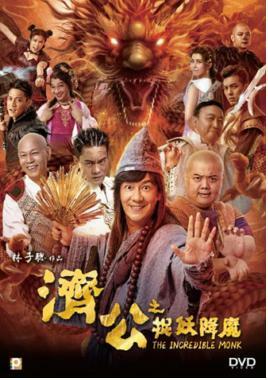 The movie takes Ji Gong on another adventure as he fights demons to save the people. It was a time of peace as word of Ji Gong's limitless powers has spread throughout the land and no demon, ghost nor evilbeing dares to wreak havoc except for the water demon that occasionally causes trouble by way of flooding the river. One day, the water demon gathers other forces to create a tsunami that threatens that threatens to engulf everything on its way. Ji Gong steps up to save the day, but realizes that a bigger conspiracy is in the works.